This purchase is for those customers who would like to purchase a commercial use for one of our designs from Expressions Vinyl. 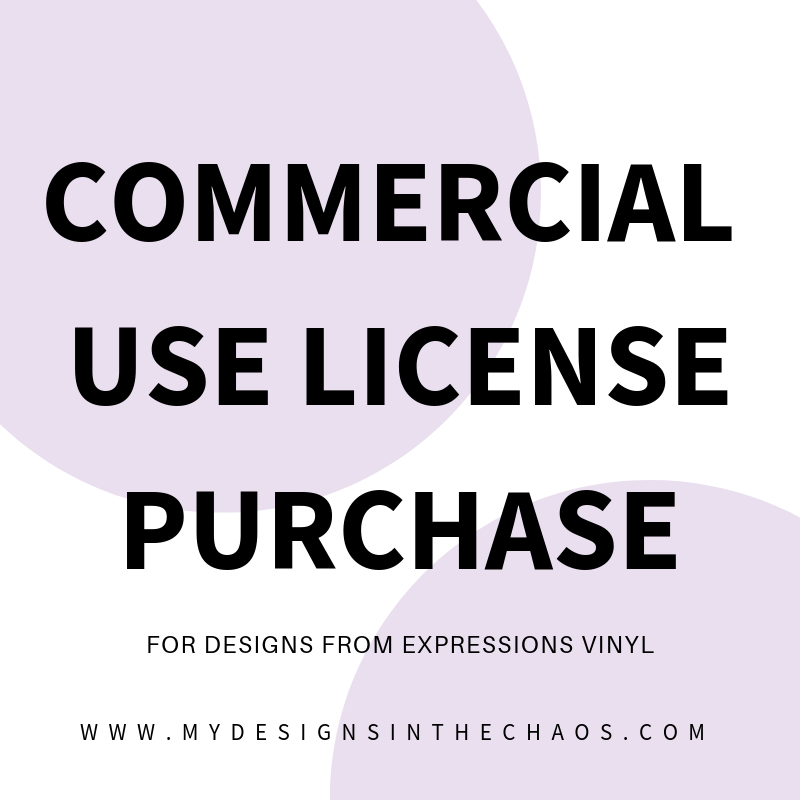 Please purchase one license for each design you would like to use commercially. Thanks! It includes the ability to use our designs up to 200 uses on a finished product and must be made by you. We do not allow outsourcing or selling of transfers with our designs. If you have additional questions please feel free to reach out. Thanks!